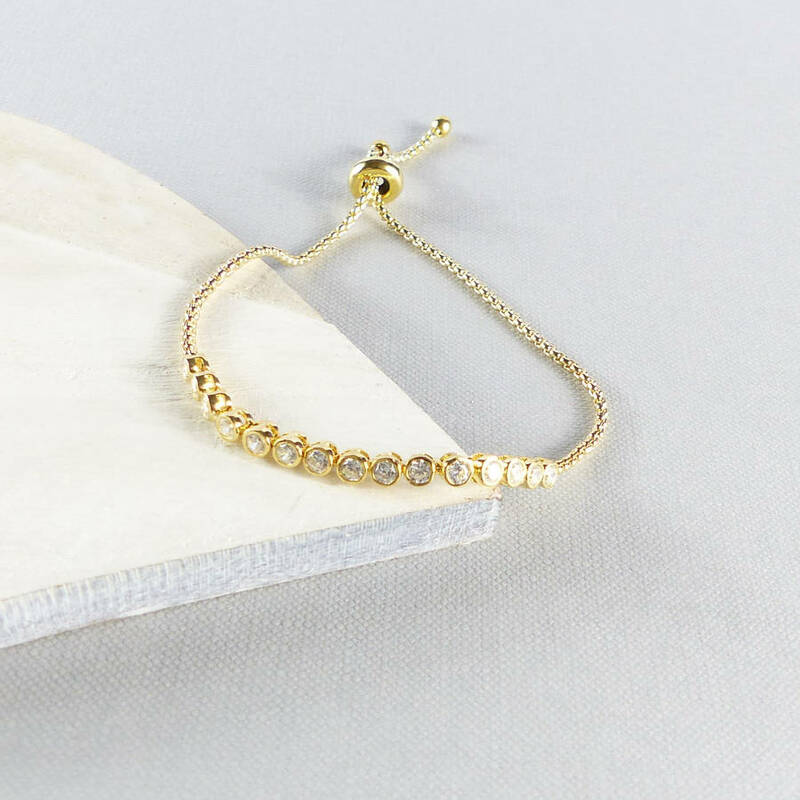 This chic chain bracelet features a beautiful line of individual set cubic zirconia crystals. 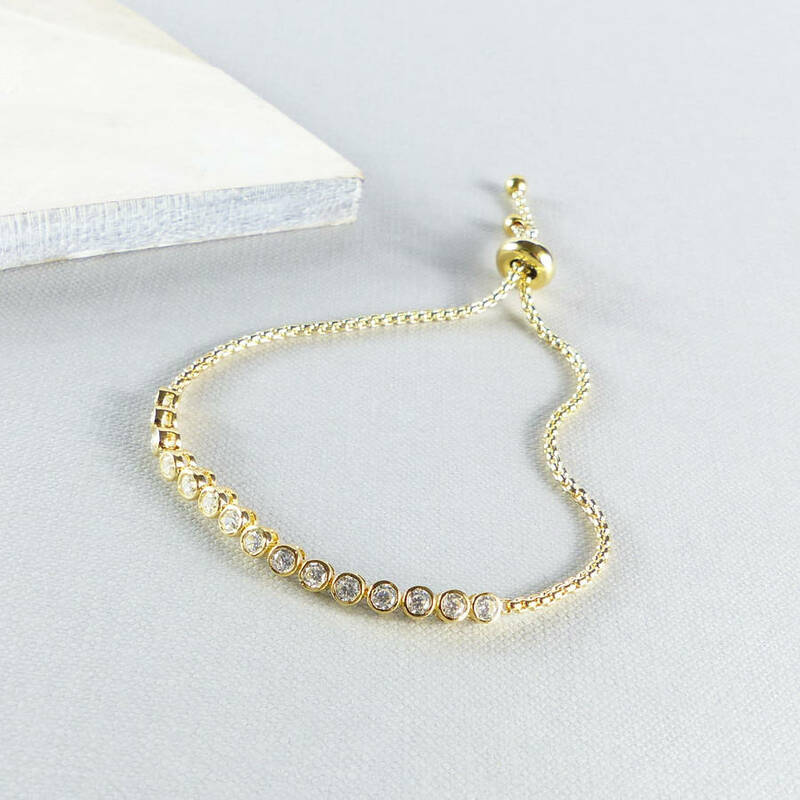 An elegant bracelet with just the right amount of sparkle. A toggle slides to easily adjust the chain's length for a snug fit. 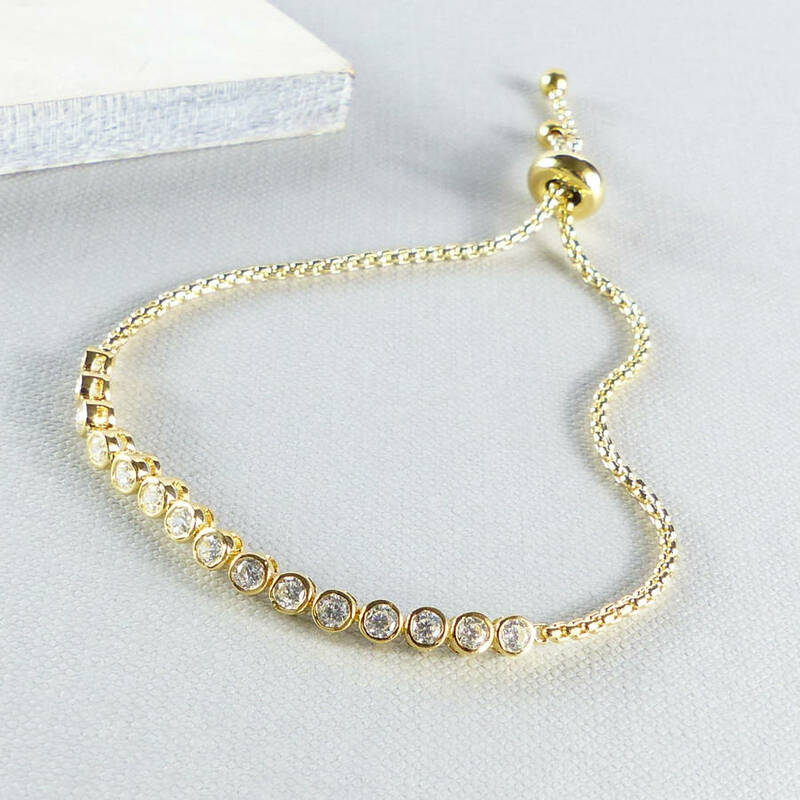 This piece looks gorgeous layered up with other bracelets and wonderful on its own. 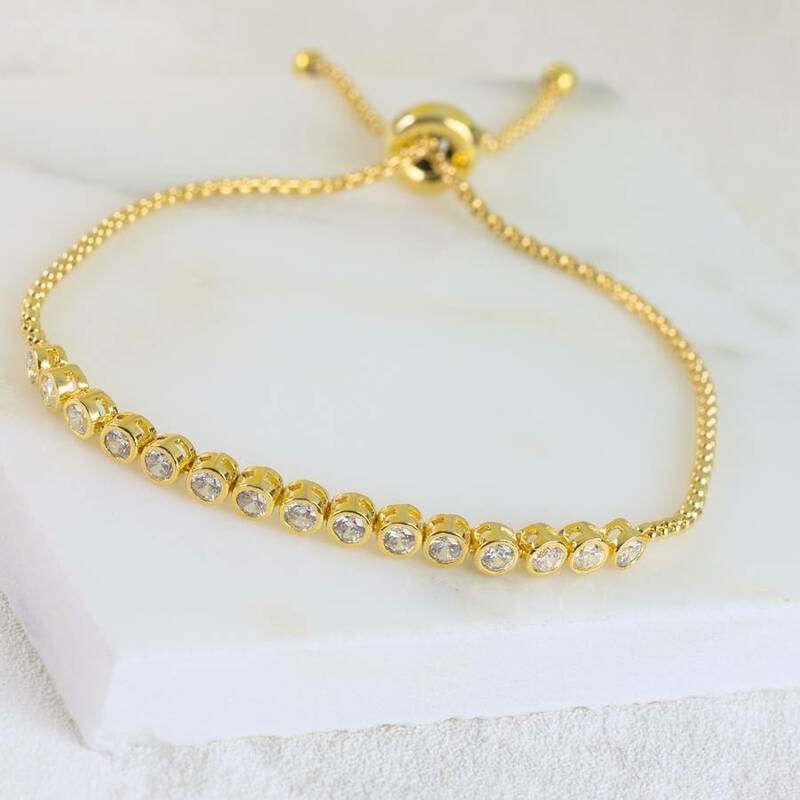 Our timeless and elegant products accentuate your outfit and enhance your look, every piece will make fabulous gifts for loved ones or a delightful treat for you! Your purchase will arrive beautifully presented in complimentary EVY Designs signature gift packaging, perfect for gifts! Images and are solely the property of EVY Designs Ltd© and cannot be used or reproduced without permission.